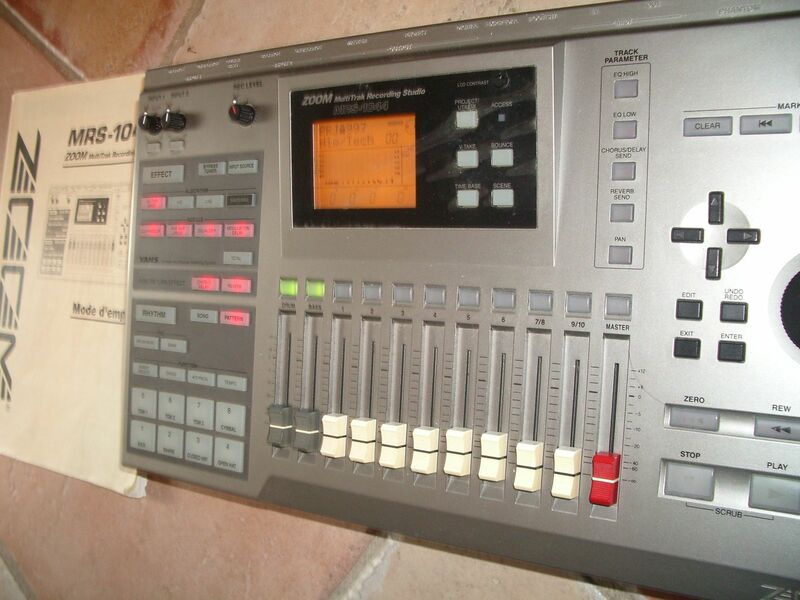 MRS-1044, Digital Multrack-studio from Zoom in the MRS series. Good is an 8-track recorder numrique (6monos and 2streo), also includes two tracks spares for programmed drums and bass / rhythm box. 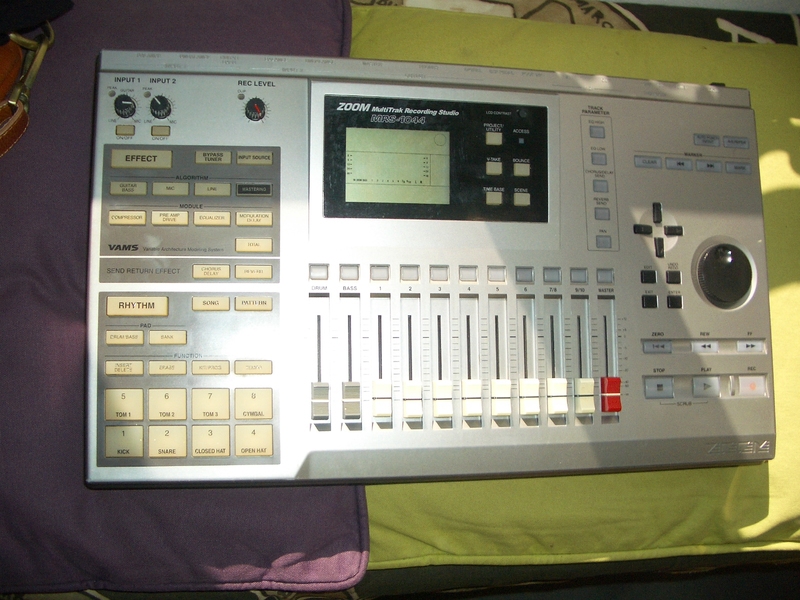 you can record two tracks simultanment, besides the rear connections are compltes for any type of. Question use everything is simple, there are not too many buttons everywhere ... on the other hand sometimes you know the sub-menus. But hey nothing complicated with the manual if you are really blocked. 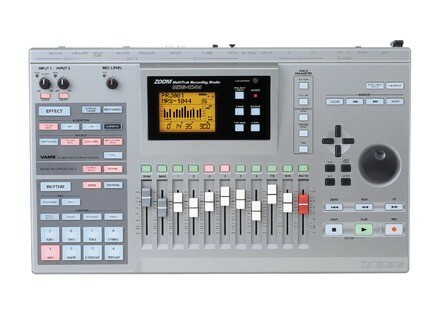 For my part I bought it and started recording the first day c'tait so simple. APRS prcis more for stuff (like ping-pong, import / export tracks, automation ...) I read the manual (in English it is more clear explanation) and it trs easy. Scratch presets are good but when compared to other amp simulators (POD or SansAmp kind) are not picture it is deu. I find that a lack of punch especially distortion. ons and a clear will. Finally, even when zoom is what. I use it since its release in late 2001. I sold a year APRS (need as ...) and have purchased another. If I ratchet it is because I thought the best c'tais qualitprix / use. I have tried other apps and even on the computers and still the silent zoom n 1. What I like least is the part that I find bote pace not good programming. and then the sounds are good but limited (one crash, a snare, a bass drum etc ... per set) and then sync via MIDI is not great I think. Since one year I have the USB interface and I m'clate. I combine computer / zoom and a full suite of open channels (eg put the drum track on computer programs and playing with a soundfount). I IT CAN BE USED for 4 years and I am very satisfied. It is suitable for both personal records as group records. 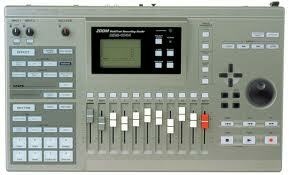 I often use it to record vocals and acoustic guitars combined with rhythmic patterns and keyboards. I am very happy with the results and the recording quality. I continue to use it very often, when the opportunity arises. The device is simple to use. Good ergonomics point of view it's light, but you have to listen more than watch. 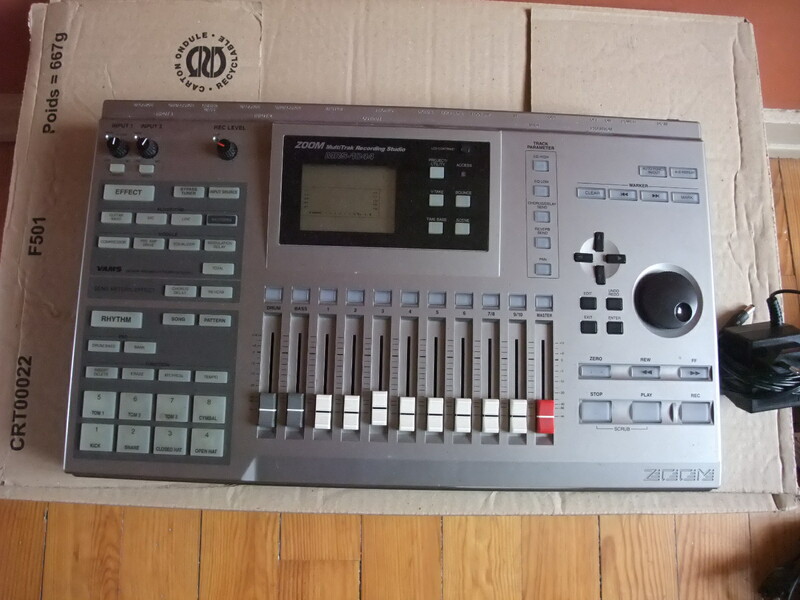 However, I am a bit disappointed with some effects that I find very distortion-oriented, so when one is keyboard like me, it just grates the ears. I want them to record more than two tracks simultaneously but hey, after, another budget. I also regret the fact that one can not apply a distinct effect on each track. Otherwise, frankly, when I see the number of times it allows me to listen to my personal or my compos composed with my band, it makes me shiver. DIFFERENT insert effects for each track. Error. the equalizer, chorus, delay, reverb and pan. are not super, normal good multi effects guitar cluck 2 3 times its price, it is better to have external effects.